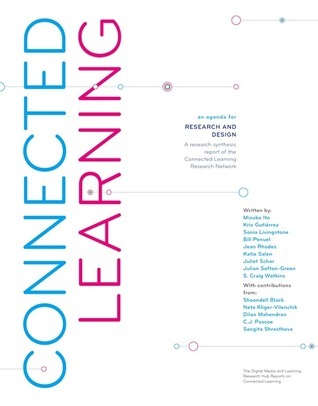 This "Connected Learning" report, available free of charge online (at http://dmlhub.net/publications/connec..., through the Digital Media and Learning Research Hub) should be required reading for all trainer-teacher-learners. It offers an engaging peek at how the world of learning is evolving in ways that "build communities and collective capacities for learning and opportunity"; “includes the ideas that everyone can participate, learning happens by doing, challenge is constant, and everything is interconnected”; has several case studies that bring the topic to life; and takes us to the heart of the possibilities that connected learning offers. By the time we reach the end of the report, we have a clear understanding of the challenges and the rewards of adapting connected learning wherever it can be applied. We’re also left with 11 pages of resources that could keep us busy for months or years if we wanted to engage in further explorations of the topic.